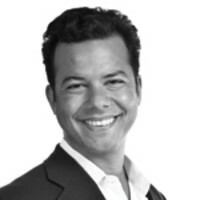 John Avlon is the former Editor-in-Chief and Managing Director of The Daily Beast.He previously served as Executive Editor and Political Director of The Daily Beast. He began writing columns for The Daily Beast in November of 2008, one month after its launch. He is a CNN political analyst who won the National Society of Newspaper Columnists’ award for best online column in 2012. Prior to joining The Daily Beast, Avlon was a columnist and associate editor for The New York Sun and served as chief speechwriter for New York City Mayor Rudy Giuliani.He is the author of Independent Nation and Wingnuts as well as an editor of the anthology Deadline Artists: America’s Greatest Newspaper Columns. His most recent book is Washington's Farewell: The Founding Father's Warning to Future Generations.